Those who are disheartened by the lack of physical Lady Gaga singles here in Australia can take comfort that elsewhere in the world, they’re continuing to be produced. 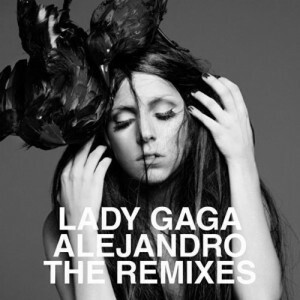 The latest is this physical remixes EP for Gaga’s latest single ‘Alejandro’. To be released in the United States next month, it’s expected to contain all eight remixes featured on the single’s digital EP – including those by Kleerup, Bimbo Jones, The Sound Of Arrows, Dave Aude and more. It’s set for a US release on June 15. Shame they aren’t releasing it here – but would LOVE to get my hands on this one!